The Directorate of Education Delhi issued the Annual School Calendar for session 2015-16.This calendar contains all information of admission dates,Holidays and Vacations,Examination dates,Science activities,Population education cell,Sports Activities,Physical education activities,Quiz Competition,Maths Competition,Youth Parliament,Training programme of SCERT etc.This calendar is very useful to all Nursery Teachers,Primary Teachers,Trained Graduate Teachers,Post Graduate Teachers,Principals,Headmasters,Block Education Officers and other officers. Issuance of public notice for Nursery admission-Last week of February 2015. Union Public Service Commission UPSC has issued an advertisement No.04/2015 for recruitment of various posts. Scientists SB (Chemical) in National Test House-04 Posts. The Railway Recruitment Board Delhi issued the schedule of Physical Efficiency Test (PET) for recruitment of Group D Posts like Pointsman,rackman,Gateman,Khalasi Helper,Carriage Cleaner,TDSL Khalasi,Safaiwala,Cook Mate,Hospital Attendant (Male and Female).The Physical Efficiency Test (PET) will be held on 23.03.2015 to 28.03.2015 at Railway Stadium Ambala and Railway Stadium Lucknow.E-Admit Cards issued for all selected candidates.It is notable that the written test was held for these posts on 02.11.2014,09.11.2014,16.11.2014,23.11.2014 and 30.11.204 at various exam centres.Now results are available at website.If any candidates failed to get their e-admit card,he/she may contact at RRB Delhi between 10.03.2015 to 16.03.2015 during office hours.No extra chance will be given to absentee. How to apply-Apply online by using the website www.upsconline.nic.in Complete instructions are available on website. Centres of examination-Jaipur,Ahemdabad,Patna,Jammu, Chandigarh,Banglore, Delhi ,Shimla and others.Read complete notification. Mobile phones, pagers and any other communication devices are not allowed in the examination hall. Age Limit on 01.08.2015 : 21 to 30 years.Relaxation will be given as per govt.rules. Admit Card : Admit Card shall be issued three weeks before the commencement of the examination on the UPSC official website www.upsc.gov.in. All the applicants are suggested to provide an active E-Mail I.D. while filling up Application Form. 4- Vishnu Digamber Marg, New Delhi-110002. Qualification-Bachelor Degree in OT/PT OR PG Degree in OT/PT. Remuneration-For Diploma Holders Rs. 18000/- for Degree Holders Rs. 20,000/- and for PG Degree Holders Rs. 22,000/- per month. Qualification-Diploma/ Bachelor Degree in P&O Or PG Degree in P&O. The Union Public Service Commission (UPSC) is going to conduct Combined Geo-Scientist and Geologists Examination 2015 on 23.05.2014 at various examination centres in India.Online applications are invited for this examination.The last date for online application is 20.03.2015. How to apply- Apply online at Union Public Service Commission official website www.upsconline.nic.in. Centres of written test-Lucknow,Jaipur,Kolkata, Ahemdabad, Mumbai,Patna , Shimla,Delhi,Chandigarh and others. Mobile phones and other electronic devices are not allowed in the examination hall.Schedule of Written Test-General English 100 Marks for 3 Hours. 30 rupees will be extra charges for online admission. Chandigarh Transport (CTU) is going to recruit 325 Bus Conductor and 400 Bus Drivers.A proposal is ready and sent to Chandigarh Administration for sanction of posts.Recruitment process will be start soon.Now candidates are waiting for starting of selection process.As per news published in Newspapers on dated 26.02.2015 at present total 300 buses are running on the roads.363 buses requires up to December 2015. Pay Scale: 5910-20200+Grade Pay Rs. 2400 + other allowances from time to time. (1) Passed Matric from any recognized board/ university. (2).Having a valid licence to drive heavy transport vehicle for 5 years. (3) Minimum five years experience to drive heavy transport vehicles. Age - 25 years to 35 years,Relaxable according to govt.rules. Date-17.03.2015 (Tuesday)-EVS (only for classes 3,4, and 5). Date-20.03.2015 (Friday)-6th-Hindi,7th English and 8th-Mathematics. Subject/Paper-First paper of all subjects and paper -2 of TGT Social Science,Mathematics,Medical and Non-Medical. Date of Uploading of Answer keys-03.03.2015 at 2:00 PM. Last date for submit the objection-09.03.2015 up to 5:00 PM. Subject/Paper-Second paper of remaining all subjects. Date of Uploading of Answer keys-11.03.2015 at 2:00 PM. Last date for submit the objection-16.03.2015 up to 5:00 PM. Qualification-B.Sc. Home Science with P.G. Diploma in Dietetics.One year experience.Registered with Indian Dietician Association. Walk in Interview for preparing select panel on part-time contractual basis for session 2015-16. Duty Station- Nehru Yuva Kendra Sangathan, Headquarter, (Spl. Projects) Second Floor, Core-4, Scope Minar, Laxmi Nagar District Centre, Vikas Marg, Delhi- 110092. Period of contract-This job is on purely on Contract basis up to 31.12.2015 or till the project period whichever is earlier. Age as on 01.01.2015-Not more than 40 years. Duty Station : Nehru Yuva Kendra Sangathan, Headquarter, Second Floor, Core-4, Scope Minar, Laxmi Nagar District Centre, Vikas Marg, Delhi-110092. Consolidated remuneration-Rs. 15000 per month. Contract Period-This contract will remain 31.12.2015 or till the project period whichever is earlier. Qualification-Graduate in Civil Engineering with at least 25 years experience in the field of design/planning, execution and supervision of Civil Engineering works relating to building construction. The applicant should be retired be retired Superintending Engineer/Executive engineer from any State PWD/CPWD. Application fee-Rs.500/- in form of Demand Draft in the favour of State Project Director, HSSPP payable at Panchkula,Haryana. 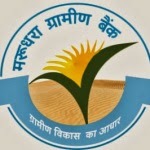 Kendriya Vidyalaya Sangathan (KVS) invites applications for recruitment of Deputy Commissioner (DC), Assistant Commissioner (AC) and Principal (PPL). Pay Scale-15600-39100 + Grade Pay 7600/-.Age as on 23.03.2015-Not more than 50 years. Pay Scale-15600-39100 + Grade Pay 7600/-.Age as on 23.03.2015-Minimum 35 years.Not more than 50 years. Last date for submit of hard copy-30.03.2015. Name of Post- Assistant (OT/CSSSD) under Health & Family Welfare Department. Date of Interview-11.03.2015.Time of interview-09:30 AM. Name of Post- Deputy Manager (Technical) under Delhi Financial Corporation. Date of Interview-11.03.2015.Time of interview-02:30 PM. Name of Post- Technician (OT/CSSSD) under Health & Family Welfare Department. Eligibility-Passed 10+2 with minimum 50% marks.Family income up to 5 Lakh are eligible.Bonafide resident of Haryana. Total Seats-Total seats is 100 per district. Training Period-The training duration of course is one year. Selection procedure-Selection of candidates will be done on the merit basis and weightage will be given to girls/women from villages in case of same score. 03.04.2015- Music (Vocal) Paper-I ( Theory),Fine Arts-A (Theory): History of Fine Arts ,Computer Science Paper-I, Computer Fundamentals & Programming in PASCAL. 04.04.2015-Public Admn. (Elements of Pub. Admn.) Music ( Instrumental) Paper-I. 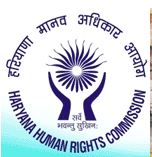 Board of School Education Haryana (HBSE) has uploaded the Admit Cards for Secondary and Senior Secondary Exam March 2015.The exam will be start from 04.03.2015 in all districts of Haryana.These exam are for regular and re-appear students for 1st and 2nd semester.Now re-appear candidates can download their their Admit Card/Roll no. on BSEH official website.All Heads of Schools are directed to download Admit Cards by the uese of user i.d. and password on board's website.Admit card is compulsory to enter in the examination hall.So many candidates from various districts like Hisar,Sirsa,Rewari,Fatehabad, Mohindergarh, Ambala, Karnal, Kaithal ,Panchkula,Gurugaon,Kurukshetra,,Bahadurgarh are going to appear in this exam.The date sheet is already issued on website before some days.Practical examinations will be held from 25.02.2015 to 28.02.2015 at school level. The Central Board of School Education (CBSE) is going to conduct Central Teacher Eligibility Test (CTET) 2015 on 22.02.2015 at 988 exam centres throughout India and abroad.A notification issued for those candidates whose admit cards have not been uploaded on website www.ctet.nic.in.CBSE are hereby given last opportunity.Such candidates must contact CBSE office alongwith stipulated documents for their candidature on 19.02.2015 between office hours.Like last year the paper-2 will be held in morning session and Paper-1 in the evening session.The time of morning session will remain 09:30 AM to 12:00 Noon and the time of evening session will remain 02:00 PM to 4:30 PM. Online applications are invited for recruitment of Officer in Middle Management Grade (Scale III),Officer in Junior Management (Scale I) Cadre,Officer in Middle Management Grade (Scale II), and Office Assistant (Multipurpose). Payment of deposit of fee online-12.02.2015 to 26.02.2015. Preparing select panel on part-time contractual basis for session 2015-16. Art & Craft Instructor, Dance & Music Instructor, Spoken English Teacher,Counsellor,Staff Nurse. Pay Scale-5200-20200 + Grade Pay 1900/-.Age as on 28.02.2015-18 to 40 years. Last date of application-The last date for the application is 28.02.2015 by 5:00 PM. A Govt. of India undertaking. Total posts-246.For SC-40,for ST-21,for OBC-60 and for UR-125 Posts.19 posts are reserved for PH candidates. Application Fee-600/-for General and OBC candidates,Fee Rs.50/- for SC/ST/PH and regular employees of Oriental Insurance Company. Asst. General Manager (IT) -01 Post. Age-20 to 35 years.Pay Scale-19400-700/1-20100-800/10- 28100. Probation period-Two years for above posts. Central Board of Secondary Education (CBSE) has been issued the Question Papers, Answer Keys and online Feedback System for CBSE NET JRF Exam.This exam was held on 28.12.2014 at various exam centres.Now candidates are free to give their feedback up to 23.02.2015 midnight.The starting date for feedback is 16.02.2015.Candidates can check their response in scanned marked OMR sheets.According to the spokesman of CBSE the final result will be prepared on the basis of updated keys.No further grievance will be entertained after 23.02.2015.It is noted that the candidates had been waiting their result for a long time.Now all types of question papers and their keys are available on website www.cbsenet.nic.in. Qualification and Experience-Having Graduation Degree from any recognized university/institute.One year experience in sanitation field.Qualifications/experience can be relaxed in case of most suitable/deserving/result oriented candidates. Qualification and Experience-Having Graduation Degree in any stream from any recognized university/institute.One year experience in accounts work.Qualifications/experience can be relaxed in case of most suitable/deserving/result oriented candidates. Qualification and Experience-Having 10+2 /Diploma in Computer Application certificate from any recognized university/institute. Recruitment for Junior Engineer (Civil Engineering/Mechanical Engineering,Assistant Grade-II (Hindi), Typist (Hindi) and Assistant Grade-3 (General/Accounts/Technical/Depot). Area of posting-Two at Head Quarter, one at Rohtak and one at Ambala.